Today I’m going to cop-out of writing a detailed post and just send you over to EMS’s blog. 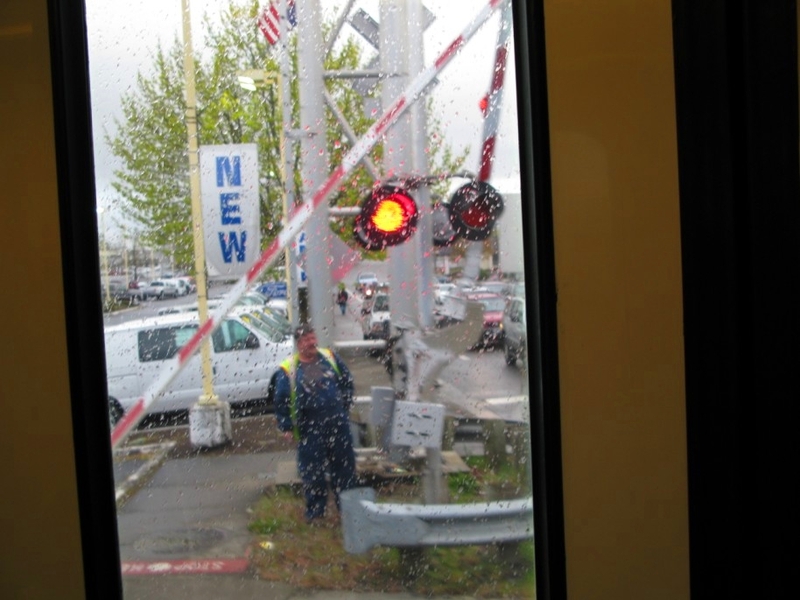 While she was on light duty recently (non-operating work for operators that have injuries preventing them from doing their regular work), she took some great pictures at Willow Creek and Quatama, including a call board and a train running reverse. 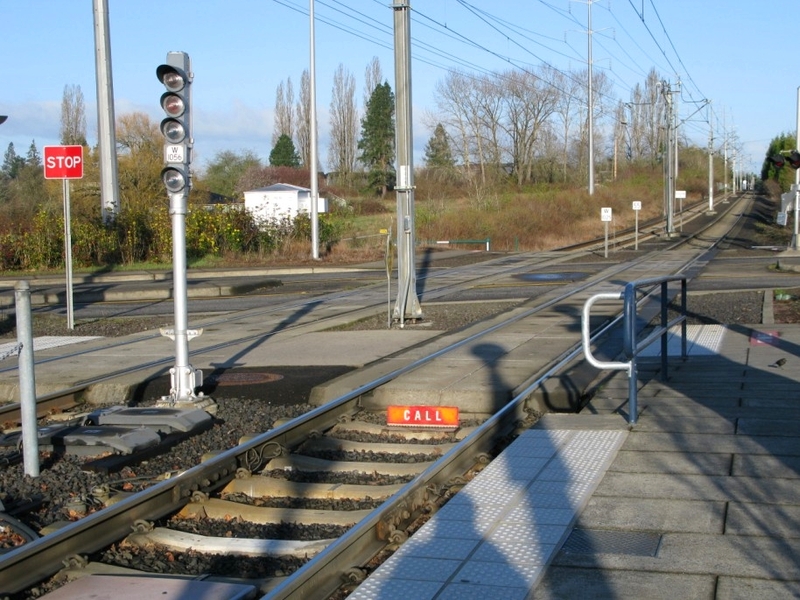 One of my old pics of Willow Creek – looking east in the westbound track. 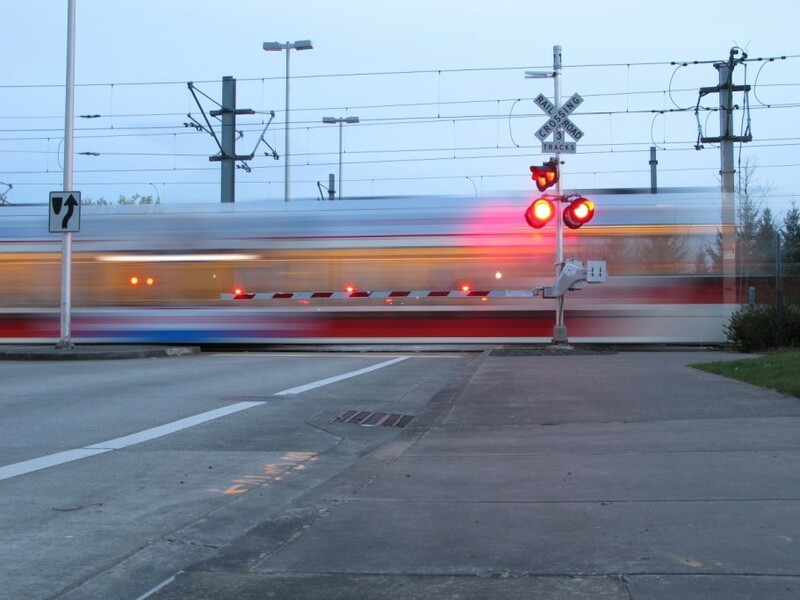 The signal is red because a train is in the circuit; it would otherwise be dark. 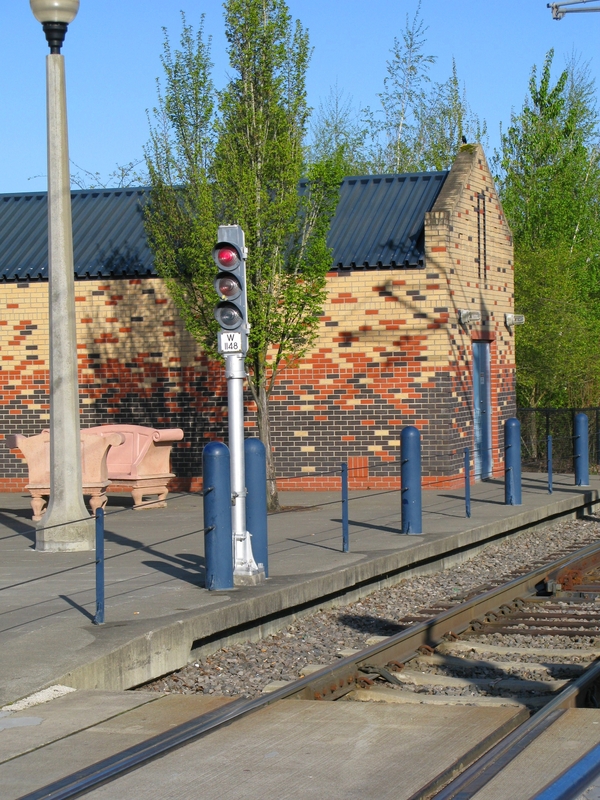 This signal allows an eastbound train in the westbound tracks to cross over to the eastbound tracks.